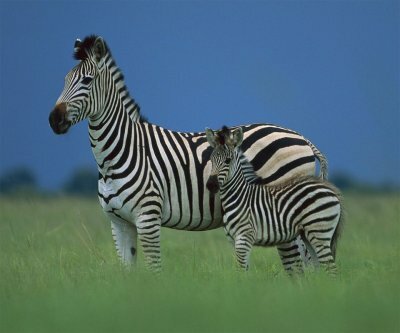 When a baby zebra is born, they have stripes that are used for camouflage, they have mobility immediately, and they begin learning lessons from the mother on how to survive. Even with all these great benefits that they have at birth, there is still extinction and predation looming. Two of three species of this great animal are currently on the list of endangered species. The period of gestation for a zebra is about one year and each female will only give birth to one zebra, also known as a foal. At the time that the foal is born, the stripes that it has appear to be white and brown in color. Each baby zebra is developed well at the time that it is born and will weigh around 70 pounds. 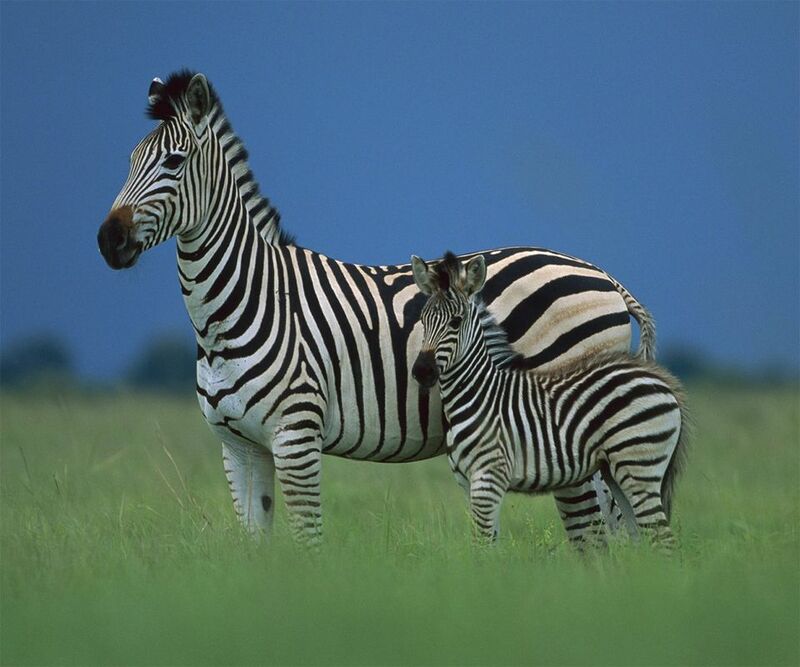 Zebras will feed from their mother's milk, like most other mammals. Between the age of 7 months and 11 months, they become fully weaned. Zebras dine on grass, leaves, shrubs, and other plants, since they are herbivores. When a baby zebra reaches about one week of age, they will begin to graze. They will remain close to their mother during the first year of their life. By the time the foals reach one year of age, they have become independent. Zebras will reach the age of sexual maturity around 16 to 22 months. They are also able to live on average about nine years when in the wild. However, in captivity, the life span is so much longer and ranges anywhere from 20 to 40 years. Nothing is more amazing than a new life and this is true when it comes to a zebra or any animal. It is interesting how each breed of animal has different time frames for the way that they mature.